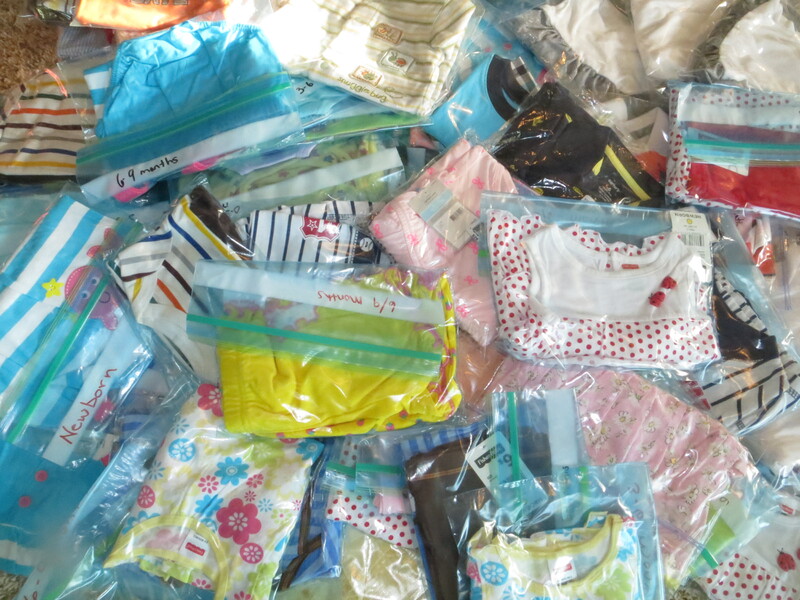 Thanks to all of your generous donations we have 76 little baby outfits boxed up and ready to head to Heartline Ministries Maternity Center in Port au Prince, Haiti. In Haiti, a woman’s lifetime risk of maternal death is 1 in 83. In developed countries the rate is 1 in 3,800. Heartline Ministries is slowly and diligently working to change this. Our donation of baby clothes will be added to gift bags given to the women who complete a child development class after the birth of their babies. After the ladies in our prenatal program have their babies, they begin attending our Tuesday child development classes. Every week Haitian mothers show up faithfully for class. When they arrive their babies are weighed to check for proper weight gain. If a mother is having breastfeeding issues we work with her, encourage her, and give her the information she needs to continue to successfully nurse her baby. Then the women eat a high protein meal together. Please visit Heartline Ministries online and/or LivesayHaitiWeblog to learn more about the super awesome things that God is using them to do in Haiti’s capital city.